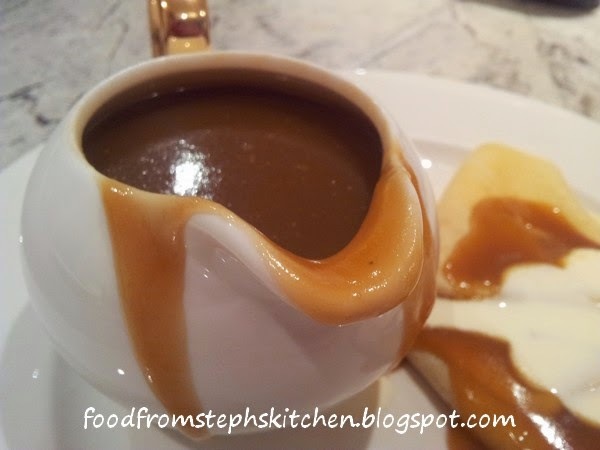 I have many good memories about this butterscotch sauce. My Mum used to make it all the time when we were kids. 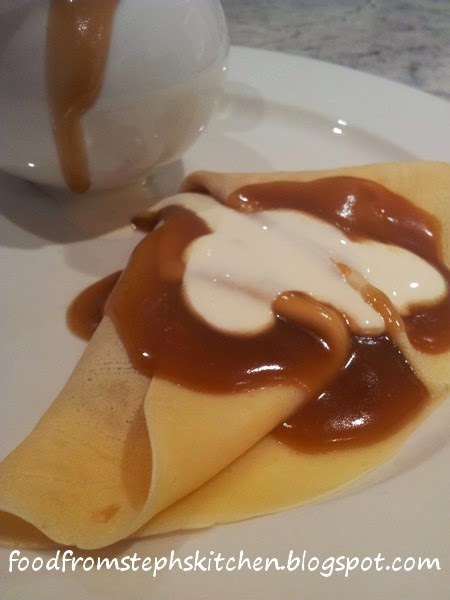 Her favourite was butterscotch sauce with spiced apples and crepes. It's still one of my favourites, and I hope to pass on the love of it to my children in turn. It's a little different to other butterscotch sauces. The ingredients are all the same, but the method is slightly different - with the cream added at the end rather than at the start. I'm not sure why I make it this way, it's just how my mother taught me. I just thought it was the way you make it! I've made this sauce for family and friends, and it's always a winner. 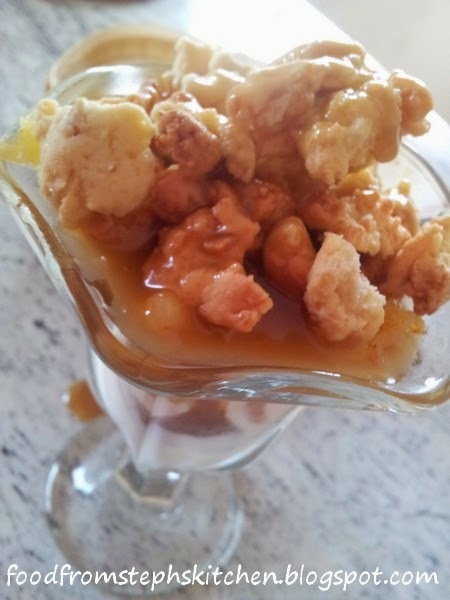 It's also a star in my Butterscotch Cookie Sundae. I just try not to have it too often as it's a little bit naughty ... but all good things are naughty! I hope you enjoy as much as I do. In a small pan or pot, place butter and brown sugar over a low heat. Allow it to melt, stirring occasionally to combine the butter into the sugar. Once completely melted, continue to stir until the sugar and butter are completely combined. You can increase the heat now slightly, to a medium to low heat, and allow it to slowly come to a gentle simmer. Allow it to simmer for a few minutes (3 - 5 minutes), stirring every now and then, until the sauce feels smooth, the sugar is completely dissolved and it is like a thick but pour-able syrup. Take the sauce off the heat and allow it to stop bubbling before adding in the cream. Stir to combine, adding it back to a low heat until it thickens slightly.